Figuring out just what to bring to college might be the single most stressful thing that any college student goes through. How do you pack an entire 18 years of your life into one room, or better yet.....half of one room. We've put together this checklist to try and relieve some of the stress, enjoy. Alarm Clock/Cell Phone: Always make sure you have a tool to wake you up in the morning for those dreaded 8AM classes. We recommend keeping it out of reaching distance to avoid shutting it off in your sleep. Calendar/Bulletin Board: One of the most difficult things in college is staying organized. Use these to keep track of homework, tests or big events. Clothing/Hangers: Well this one might seem pretty obvious. Try not to bring your whole closet, most likely the closet you'll be sharing is much smaller than the one you have at home. Computer: If you have the money, a laptop can be the best investment you can make in college. It will save so much time, especially since a lot of classes are moving towards a mixture of classroom/web-based set-up. Desk Lamp: This is necessary for the night owls who try to get everything done before the midnight deadline. Fan: A lot of dorms don't have the luxurious air conditioning your used to at a home. Get a fan, you can thank me later. Laundry Basket: This one might also seem obvious, get something that is durable and that you can carry up three flights of stairs. But also try and find one that you can stash away or keep under the bed. Linens: Always check what size bed the dorms have ahead of time. If you're looking for Twin XL bedding we might know a place.... TwinXL.com. Definitely bring your own sheets, comforter, pillows/pillowcases and mattress pad. Because laundry can be a hassle you might just want to bring two sets of sheets. Movies/Television/Games: You're going to have a lot of down time in college be sure to bring a DVD player or game console. Posters/Pictures: This small room is your home for the next 9 months so make it your own! Bring plenty of pictures, posters, decorations that show who you are and are pleasant to look at. Seating: Friends aren't all going to want to pile on the ground or lay in your bed. Invest in a futon, or other types of seating. One tip: Couches are way too big and can be a hassle moving in and out. Bath linens: Make sure to get a few sets of towels, wash cloths, etc. Flip-flops: This may sound silly. But trust me if you're sharing a public bathroom, you want flip flops. Shower caddy: Rather than trying to juggle your shampoo, conditioner, shaving cream, etc. Purchase a shower caddy/shower tote it makes the trip much easier. Toiletries: These aren't super necessary because you can purchase them anywhere on campus at any time. Appliances: Make sure to check with your school on what is allowed then coordinate with your roommate on the big things. Most notably the fridge and microwave. Bowls, Cups, "Silverware", etc: Make sure to have these handy in case you have a craving for a snack and the dining hall is closed. We recommend you buy all plastic because washing dishes with no kitchen handy is annoying. Food: If your parents ever ask you if you need food, you say YES! If you don't you will absolutely regret it. There is no such thing as too much food for a college student. Make sure to have your drawers stacked with snacks. Water Pitcher: One of the most underrated, amazing, money saving items you can invest in is a water filtered pitcher. After buying several 24-packs of bottled water I purchased one of these and saved a ton of money. Important Papers: Bring a copy of your birth certificate, passport and financial aid information, especially if you live far away from your school. It will save a lot of time and hassle trying to get your parents to mail it to you. Medications/First Aid Kit: Lets hope you never have to use it but always bring a first aid kit just to be safe. Also, if you're doctor requires you to take certain medications make sure you plan out ahead of time where your new pharmacy is going to be. Door Decorations: Whether it be a whiteboard and marker or some pictures and stickers, stand out to the rest of the hall and see just how many friends you make. Hopefully this helps relieve a little stress. Remember to plan ahead of time but a lot of the smaller stuff you can purchase at school so try not to worry about getting everything down to a pack of staples. 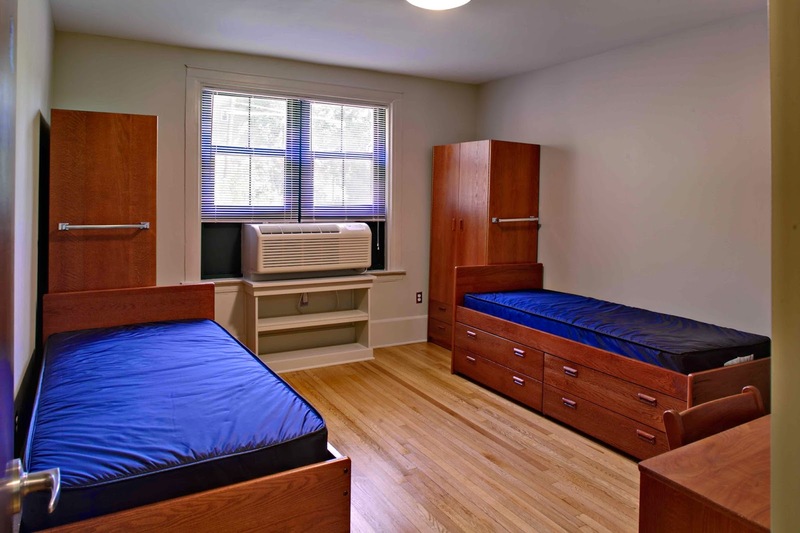 You can easily find a dorm room checklist online, but ultimately, you extremely simply require the most essential things for your dormitory remain. Keep in mind that, you'll in all probability not have enough space and you don't realize what your flat mate will bring either. I can bet this checklist is going to help me a lot. Thank you for sharing this one with me. I was looking for mulch film manufacturers in india and landed on your blog. Imaflex Inc. produced Shine N' Ripe XL which is a heavy-duty, metalized agricultural mulch film developed to deter citrus greening is the perfect mulch film that I was searching for. Jewellery for cats is quite an interesting idea and cats would love this something new over and around them I suppose. My children would decor our cat with their cute cat socks. They will jump up hearing this idea of Cat Jewelry. Great information about changing your preferences and decisions with volatility in the market of equity funds. Tea tree oil and Rosemary oil are the eczema relief Oils. Diamond painting is an easy and enjoyable activity for adults and kids. It's basically paint by numbers, but with tiny, flat-backed rhinestones instead of paint. Let’s paint with diamonds. The Global POF shrink film market survey report on this blog proves to be of great help to the manufacturers and suppliers and also to the consumers given to the increasing use of pof shrink film for almost every product. Do you know how eczema diagnosed? Do you know what is mulching in agriculture? The trend of pof shrink wraps has been increasing day by day. Keeping pace with this trend, it’s great to know about your company which is into manufacturing of advanced optical films for liquid crystal and plasma displays. Tea tree oil and Rosemary oil are the best Oils used in eczema relief treatment. kit could be very amusing and joyful. Besides it is suitable for both young and adults. We think that painting your own DIY Canvas can be an incredibly therapeutic and satisfying. I was looking for plastic POF shrink film suppliers in Vadodara and came across your website blog. The products you offer looks reliable, low cost and good quality. It fits my requirements and I am glad to find you. Great information provided regarding hedge funds and long short fund. Large and small investors will benefit by this blog enormously. Do you have an idea about how to paint crystals? let's find out on Color Relaxation. To rectify the waste produced by plastic mulch films, the world is shifting to biodegradable plastic mulch films. This report on Global Biodegradable Mulch Film Market Report 2018-2023 will set a benchmark for mulch film manufacturers in India to consider the biodegradable option. If you are looking for the funds manager Australia for your startups, Alleron Investment Management is the best solution for you. Alleron is an Australian boutique wholesale fund manager specialising in Australian equities. Australian fund managers had foretold the worst performances of Indian equities among emerging markets. The blog on Indian equities and its rise and fall portrays a vivid picture of equity fund Australia. Diamond Painting instructions is an easy and enjoyable activity for crafters young and old. Everyone must try it. I personally love it to the fullest. I was looking for agricultural mulch film suppliers when I came across this blog of Universal Manufacturing Industries and got information about their mulch films. This mulch film looks best for the type I was looking for. Do you know how to get rid of eczema? here is the solution for this. Eczema & Psoriasis Treatment aims to provide relief from itch and flare ups. How to know if you have eczema? find on Rekonstrux about eczema. Eczema symptoms include itchy, red, and dry skin caused by inflammation. It is also called atopic dermatitis and is treated with oral medications, steroid creams and light therapy. There is a lot of info on Internet about how long does eczema lasts? Diamond Picture is an easy and enjoyable activity for crafters young and old. Everyone must try it. I personally love it to the fullest. Nice blog but can you help me with how i cured my psoriasis permanently? Nice blog but do you have any Idea about PE bags? Eczema is not a good thing for anybody because it leads to suffer very badly after time is over to cure it. So follow proper eczema treatment process. Thank you so much for the blog and now I think that it is not very difficult to arrange a dorm room. Before reading your article I feel like that it is very difficult to settle up a dorm room but after visiting your blog I came to know that it is quite easy to do. Thank you very much to share this blog. It is very helpful to those who have to change their living place at a frequent moment. Do you have an Idea about history and origin of socks? This will help me a lot. I am renovating my house now. These ideas are really helpful, specially for my bedroom. To know about eczema treatment process visit my website. This checklist will help me for sure. I will love to renovate my house by using these ideas. Thanks for sharing this useful information for us. I can find these things anywhere online but this blog helped me more. You gave brilliant ideas for a beautiful room. Impressed by some of your tips, best checklist I ever read. This will help me a lot. Blog shared by you is really very helpful. I really need some tips about all this, thanks for sharing beautiful post. OMG! I love these ideas. Do you think a lotus art would look good? I must say you bring good stuff to us. Very helpful ideas shared by you. Thank you for your helpful info. You can also add some mandala paintings also. It is amazing. Your checklist is really helpful. I think abstract landscape painting also look beautiful there. Good info it is. Helpful for those who are going to a new place. What you think about a cute dog paintings?